I.A. introduces himself as a progressive island hip-hopper with creative support from Justice Moon and B.E.T., and an impressive collection of original material. I.A. reworks basic mainstream hip hop with enough panache and local references to make his work worth hearing. For instance, on "808 Party" he takes an "urban music" cliché and puts it into a fresh context with references to Rick Rock, the O Lounge, pakalolo, Pipeline Cafe, Zippy's and other cultural icons of local life. And, although his vocal delivery on "Yesterday" brings to mind the early work of LL Cool J, the acoustic instrumentation and references to Hawaiian bracelets and "a flower in your left ear," make the song an original idea. The remix version, "Yesterday (Island Soul Remix)," works well too. "Hula" may make him the first hip hop artist to combine basic hula instruction with musical snapshots of a typical tourist's experiences in Waikiki. Also notable: "Fake Da Kine," which positions I.A. as a subtle G-rated humorist, and "To the Beat Ya'll," which shows his harder edge. Indefatigable concert promoter/record producer Jason Miller doesn't limit his aloha to Hawaii's underground punk scene. This low-budget compilation puts the spotlight on denizens of the equally obscure underground metal scene. Local metal bands are, apparently, harder to find here than punkers, even when plumbing the deepest recesses of the underground. 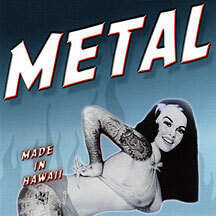 Miller's second "Hawaiian Punk" anthology showcased 24 acts, but "Metal" brings only 15 acts to mainstream CD buyers. Only one, Crucible, has previously made itself known. Crucible quickly registers as one of the heavy hitters in the collection with "Allied," even though the lyrics are almost uniformly unintelligible (Crucible had included lyrics on its own albums, but, alas, they aren't here). The unidentified vocalists of Magnum Carnage and Grind Method, and the duo heard on "What Would You Do" by Augustine, are also memorable. There are surprises, too. Haole Rot's contribution, an instrumental titled "Conquistadors From Hell," is preceded by the comments of an unidentified woman who quotes Lili'uokalani on the overthrow of the Hawaiian government. Who'd have thought that the members of Haole Rot cared? As with the "Hawaiian Punk" series, Miller provides CD buyers no information on these groups or their music. Anyone who doesn't already know them personally can try www.hwnexp.com. This is one of a series of anthology albums being released in Japan for the purpose of popularizing Jawaiian music there. Japan has been an important market for Hawaiian and hapa-haole music since the 1920s, and Kalapana has had a loyal following there for several decades, so why not Jawaiian as well? The series is being sold only in Japan, but resourceful Hawaii residents who have Internet access can probably find a way around that limitation. Since this is a collection of previously released material, all 14 songs are already available here in stores or as downloads anyway. 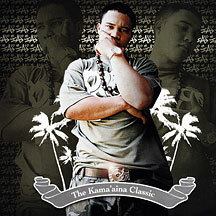 The emphasis is on "smooth Hawaiian reggae" as represented by Three Plus, Kohomua, Kalealoa and Typical Hawaiians. A feeling of deja vu quickly sets in since there are three songs by Three Plus, two others featuring vocalist Taz Vegas and two versions of "I Wanna Love You Tonight" by Rawson and Pati. Ho'onu'a is well represented with "Sunday, Monday," Baba B stands out with "Still Your Big Boy" and Nuffsaid personifies the best traditions of the genre with "Cherry Bomb." On the other hand, almost every Jawaiian anthology and compilation includes at least one remake of a pop chart classic, and at least one act that affects bogus faux-Jamaican accents. 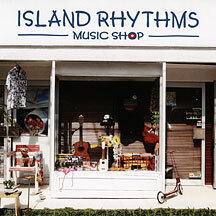 Those "island music" traditions are included as well. "I Wanna Love You Tonight (Jazztronic Remix)" provides a memorable break from the designated format as it closes the album with an arrangement that is closer to acid-jazz than Jawaiian. Required: To listen to MP3 audio clips, a music player must be installed on your computer. We recommend using either Apple iTunes (Mac), Yahoo! MusicMatch Jukebox (PC), or RealNetworks RealPlayer (PC/Mac), available for free from their respective web sites. John Berger, who has covered the local entertainment scene since 1972, writes reviews of recordings produced by Hawaii artists. See the Star-Bulletin's Today section on Fridays for the latest reviews. Reach John Berger at jberger@starbulletin.com. » Ballet Hawaii presents a truly wicked "Cinderella"